The following examples demonstrate possible uses for macros as well as their syntax. In the example below, the two simple functions hide() and unhide() are shown. The hide() function sets the value in A1 to TRUE, while the unhide() function sets the value in A1 to FALSE. These macros have been assigned to the buttons “Hide row” and “Unhide row”, as shown in the following screenshot: The HIDEROW(A1) function in A3 reacts to the value in A1, either hiding or unhiding row 3. The function setCell() defines C8 as the target cell. If the target cell contains the value “locked”, then the content is deleted. If nothing is in C8, the value “locked” is written into the cell. The function getcell() gets the value from Sheet2!B2 and writes it into cell C10 of the active sheet. The following code exports the workbook to the server’s hard drive. Note: this code will export the file into a local folder on the server, so it may not be accessible to remote users. For this, you have to export into a folder in the Apache docroot, then dynamically create and display a link to the file. Not all folders on the file system are accessible for the Macro Engine, nor should they be; the open_basedir directive of the Macro Engine may prevent you from exporting to a specific folder. The following macro examples will work only if the macro is started by a form element (combo box, check box, or button). They do not work when they are called as a spreadsheet function. Show_popup() gets the text of C4 and displays it in an info message box titled “Test”. Warning (“warn”) and error (“err”) messages are also available. 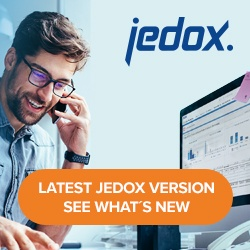 In the Macro Engine, Jedox functions can be defined using an already-established OLAP session. Rather than using a static user/role, this macro uses the actual user who is logged in, including their actual rights.